This may be the coolest baby/kids accessory I’ve seen in a long time. 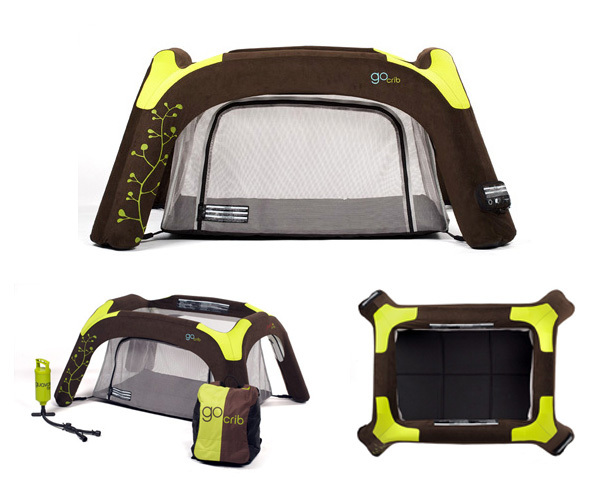 The GUAVA FAMILY GoCrib has a dual-action pump that inflates the entire crib in less than a minute. The 27″ x 39″ self-inflating mattress and 25″ depth sleeping and play area are the same size as a standard play yard. The breathable ClearView Mesh allows for full airflow and an unobstructed view of the child, even when the side is zipped up. And it all fits into its own backpack carrying case!